Whether you play World of Warcraft, Aion online, Dungeons and Dragons, Lord of the Rings or any other kind of RPG/MMO. Perhaps even shooters or other online games. The primary aspect of playing a game online is "the people". Some will be complete assholes, heck face it, the majority will be because they are trying to win the game just as much as you are and competition is simply FUN! Out of all the people you meet in such games though, you'll probably make a friend or two. Perhaps more than a few. But there will be special ones who stand out of the crowd. Some you might meet in "real life" and share a drink with, or have some laughs about the noobs who play the game as such a different level from you. And yet others might catch your heart in such a way that you might want to meet each other more often, outside of the game. Often the other players can be on the other side of the world. 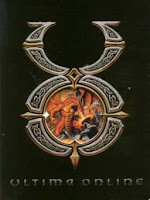 One such amazing character was in the game of Ultima Online, UO is an old game now, old before I even started playing it. But, it's still running. But the guy I wish to tell you about was known to the community simply as Tas, of the GoodGuys guild. If you joined the game, he would find you, help you, give you a place to call home and make friends. Whether you were a noob or a great player it mattered not, you were welcome to one of his many houses, private island, and other facilities that he kept active. Over 16 accounts last I heard, but undoubtedly more. His home was in Luna, on the Great Lakes server. Often times in the years after I myself quit the game, I'd wonder how he was doing and whether he's still playing the game the way he wanted to. Not as an old man, retired, living in Florida by the name of Roger. 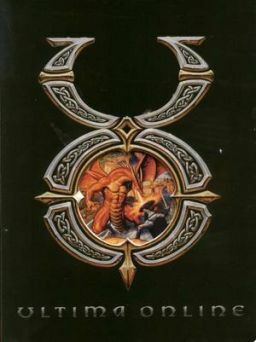 but as Tas the kinder, among other fellow spirits who enjoyed the exciting life of a dragonslayer, bard, sea pirate, magician and other fantasy. It mattered not - anything was possible. Sadly, I just found out today that he has passed away. Early 2009, the world became one amazing soul poorer, but his memory lives on in all players young and old. All roleplaying games. All corners of the world. Inferno act 1 was "doable", act 2 was "somewhat doable".